As you may have already read in our Blu-ray Review of Fairy Tail – Part 5, the UK Blu-ray release is a direct copy of the American version, and as such means that everything (content-wise) is the same in this US Release and that it is only the outer package that is different. Of course one major difference is that the UK version only includes the Blu-ray while the US version includes both DVD and Blu-ray formats, which is ideal for those who want both formats. 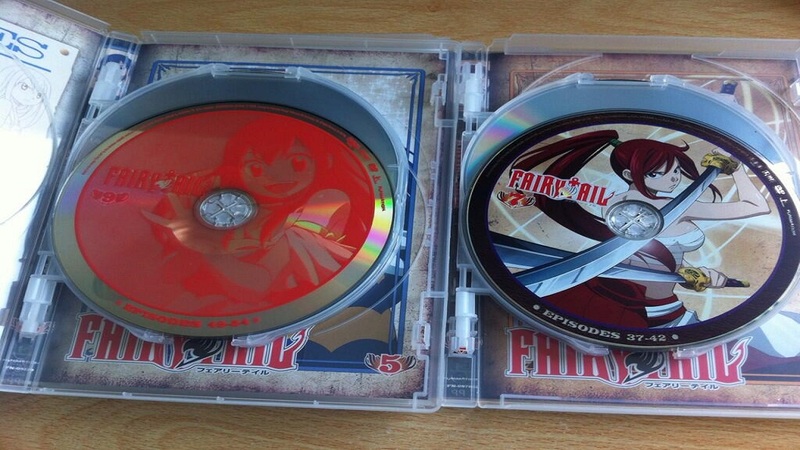 While Blu-ray & DVD Combo Packs (especially Region Free titles such as this) are usually praised by me I have nothing but complaints for this release and that’s because the disc colouring is different to previous Fairy Tail release, something which is highly noticeable when compared with the US Release of Fairy Tail – Part 4. The Packaging style and design (for the sleeve and case) are the same, however the discs themselves feature a rather bland Red (for DVD) or Blue (for Blu-ray) and while the artwork used on the disc is still the same as previous instalments you can hardly notice it due to the colouring of the disc, it seems cheap and pathetic which is a real shame. 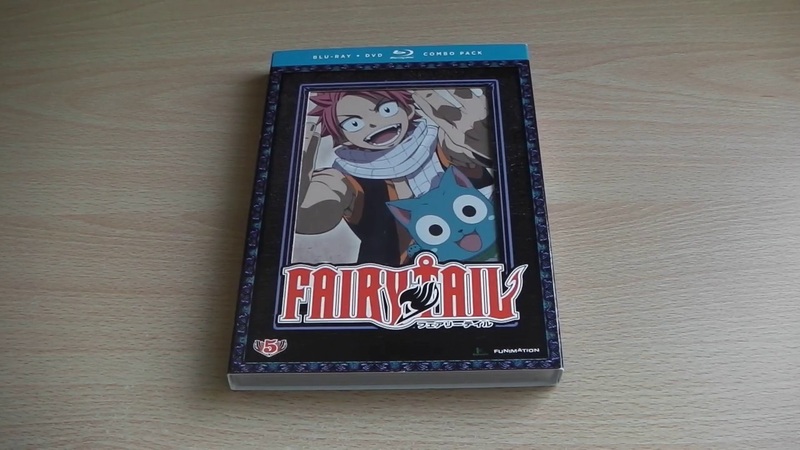 Of course that is my only real complaint, everything else (picture quality and packaging) remains consistent with previous releases – however with Manga Entertainment UK now releasing Fairy Tail on Blu-ray (which comes as a huge surprise seeing as the series is a Standard Definition Re-master) it seems pointless importing these US releases unless you want the DVD version as well.